SupplySide West 2016Nanografix will be attending SupplySide West at Mandalay Bay on October 4-8, 2016. Our experts trace your logo or image on a continuous image that looks similar to a true hologram. Using a method called Recombination, our experts create several instances of the desired image. Once this process is recombined, it is ready to be mass-produced! Shrink sleeves are a valuable tool for packaging and protecting pharmaceuticals, chemicals, foods and beverages, cosmetics, electronics, and more. For years, security holograms have been protecting products, such as documents, credit cards or currency. 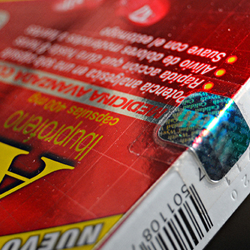 Combining holograms with shrink sleeves is a new, unique solution that can be used for all kinds of products that need added security. 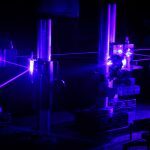 Our team of engineers, designers, and technicians will guide you through the entire process, from finding the ideal hologram for your application or product to pointing out the best way to utilize it within your production line. NanoGrafix solutions are ideal for pharmaceutical companies, retailers, and Government organizations. Holograms have a great variety of uses and applications. 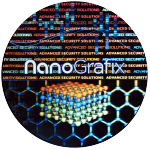 At NanoGrafix, we specialize in hologram packaging and promotional materials to protect and authenticate your documents and products. Security features embedded in holograms make them nearly impossible to replicate and can be used to quickly authenticate the items they protect. A hologram also provides physical protection with its “Tamper Proof material”. 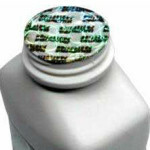 NanoGrafix develops specialized products to protect and authenticate the contents of pharmaceutical products. We create a variety of micro-embossed optical structures, offering several levels of security, including tamper-resistant labels, and can customize them to meet your need. We use a wide range of materials. 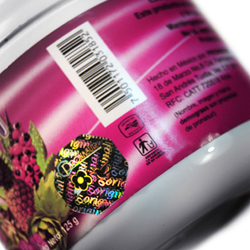 Our most popular, polyester, is used for labels and we offer it in Tamper-resistant or standard metalized, semi-metalized, and transparent. For special projects we can offer special applications to the substrate such as demetalized areas, to ensure vital institutional or governmental information that should always be readable remains visible. Other security features that can be added are UV invisible inks, tamper-evident protection, and variable data such as serial numbers, QR codes, etc. We value your investment. NanoGrafix holograms are an ideal way to protect the thought, creativity, and careful positioning you have put into your brands. We have combined our experience in hologram production and secure printing technologies to create a number of sophisticated products that protect the integrity of your brands. NanoGrafix micro-embossed optical structures assure your customers that they are purchasing genuine products of unquestionable quality. Provide peace of mind to your citizens and your leaders. 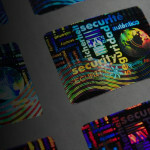 Guarantee and authenticate the validity of official documents by applying NanoGrafix micro-engraved (embossed) holograms. For further security, use any of our tamper-proof materials. An attempt to remove them destroys the image, making the attempt immediately apparent. We can also develop a unique security feature that will be available only to you, and will be protected in our high security vault or factory. For more information on special security provided only for Governments, please contact us. Sign up to stay informed about the latest in security, brand protection and nanography.